Do what smartphones simply can't. Compact and lightweight, the COOLPIX B600 packs amazing zoom power—up to 60x optical zoom with Lens Shift Vibration Reduction (VR) to keep the shots sharp and steady. And when you need more reach, Dynamic Fine Zoom effectively doubles that reach to 120x. Comfortable handling, simple menus and a Mode Dial make it easy to select the right photo or video settings for your situation and to apply creative filters and effects. Record steady Full HD videos with 4-Axis Hybrid VR, create star trails, macro images and video montages with ease, and then share your creations, or control the camera, with a compatible smartphone or tablet. The COOLPIX B600’s 60x optical zoom takes you from wide-angle 24mm*1 to super-telephoto 1440mm*1, with the option of going all the way to approx. 2880mm*1 using 120x*2 Dynamic Fine Zoom. Capture everything from vast landscapes to close-ups of distant subjects. Select Macro on the Mode Dial and get as close as approx. 0.4 in. from your subject and reveal hidden details. *2 Magnification of Dynamic Fine Zoom is calculated from the maximum wide-angle position of optical zoom. With a 16-megapixel low-light sensor, Nikon's advanced EXPEED image-processing engine and high-performance NIKKOR lens, the COOLPIX B600 takes beautiful photos and videos, even in low-light. Lens Shift VR with an effective equivalent to a shutter speed 3.0 stops* faster helps you take sharp, crisp images at any zoom range. When shooting video, 4-Axis Hybrid VR (lens shift VR + electronic VR) keeps your shot steady, even if you’re moving around with the camera. *Based on CIPA Standards. Measured at approx. 350mm (35mm-format equivalent). In challenging situations, simply select from 19 Scene Modes and the camera automatically optimizes its settings. Easily capture light trails like the flow of car lights or motion of stars with the Multiple Exposure Lighten scene mode. Create flattering portraits by applying effects such as Skin Softening and Foundation Makeup. Apply 36 different artistic effects and filters to give your images a special look, while preserving your original photo. 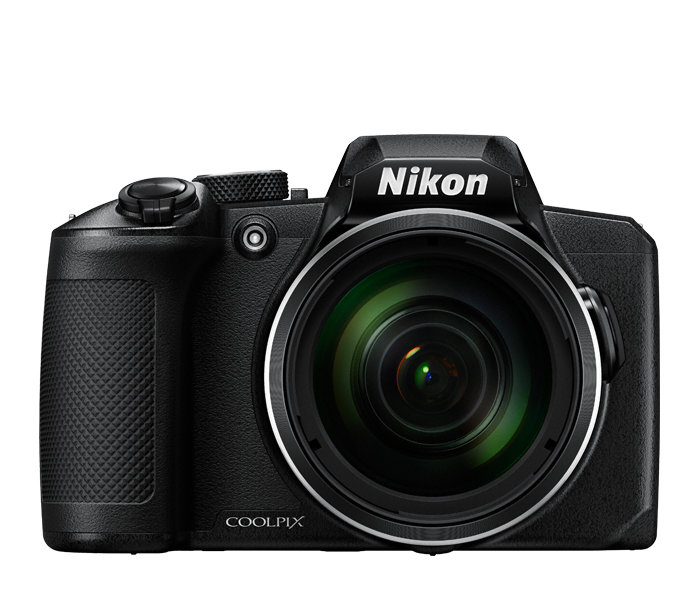 Lightweight, compact and easy to carry, the COOLPIX B600 keeps you in charge as your subject or situation changes. The 10-position Mode Dial offers instant access to the shooting mode you want. Smoothly, steadily zoom in and out using the comfortably placed side zoom control. When shooting at super-telephoto distances, press the Snap-back Zoom button for a momentary wide view so you can easily reacquire your subject. The COOLPIX B600 isn’t just about stills—it can shoot beautiful, steady Full HD 1080/60i (50i) videos with 4-Axis Hybrid VR and stereo audio, too. Create and share exciting video montages with Short Movie Show mode, which combines multiple videos into a single 30-second movie collage that can have Special Effects and four types of soundtracks. You can even capture stills while recording. Install Nikon's SnapBridge 2.5 app on a compatible smartphone or tablet and unlock exciting new capabilities with the COOLPIX B600. Built-in Wi-Fi® and Bluetooth® Low Energy (BLE) maintain a constant connection between the app and your camera, so each shot you take automatically transfers to your smartphone or tablet for sharing, editing with photo apps or uploading to your favorite sites. You can even use the SnapBridge app to control your camera remotely. *Battery life does not reflect the use of SnapBridge and may vary with the conditions of use, including temperature, the interval between shots, and the length of time that menus and images are displayed. **Individual movie files cannot exceed 29 minutes in length, even when there is sufficient free space on the memory card for longer recording. The maximum size of a single movie file is 4 GB. If a file exceeds 4 GB even when you record for less than 29 minutes, it is split into multiple files and cannot be played back continuously.